Meet the 5 common shoulder pain patients from the Shoulder Pain and Mobility Deficit Clinical Practice Guidelines and more! van der Windt DA, Koes BW, de Jong BA, Bouter LM. Shoulder disorders in general practice: incidence, patient characteristics, and management. Ann Rheum Dis. 1995; 54: 959– 964. Vecchio PC, Kavanagh RT, Hazleman BL, King RH. Community survey of shoulder disorders in the elderly to assess the natural history and effects of treatment. Ann Rheum Dis. 1995; 54: 152– 154. The exact cause of adhesive capsulitis is not completely understood; however, it has been divided into primary and secondary categories; primary being idiopathic and secondary being related to systemic, extrinsic or intrinsic pathology. If your patient has a history of diabetes mellitus, thyroid dysfunction, or a history of contralateral frozen shoulder along with symptoms similar to 1 of the 4 clinical stages they may be suffering from adhesive capsulitis! The Sub-acromial pain syndrome is perhaps the most common cause of shoulder pain in patients and a frequent cause of primary care physician visits. 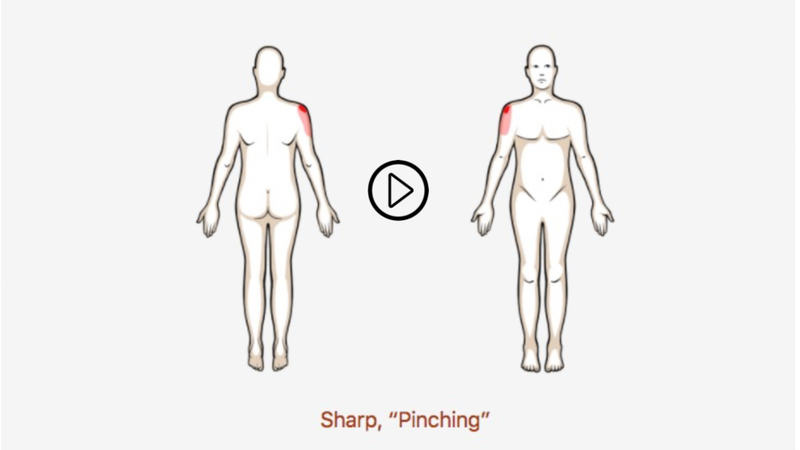 Patients will often present with sharp shoulder pain exacerbated in mid ranges of shoulder movement and repetitive activities. Take a look at some ways to assess and treat this common pathology! Many labral tears are caused from shoulder dislocations. Anterior dislocations are most common and are often caused from a forceful collision, fall on an outstretched arm, or a sudden wrenching movement. The patient may present with apprehension at end ranges of motion.